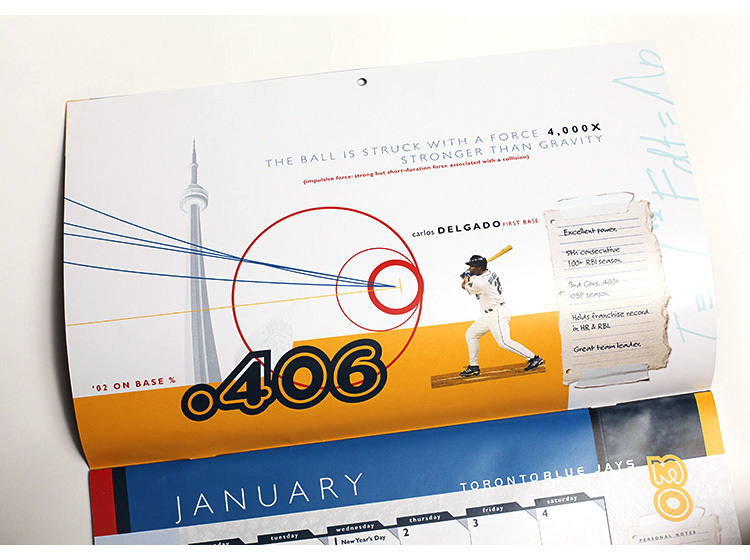 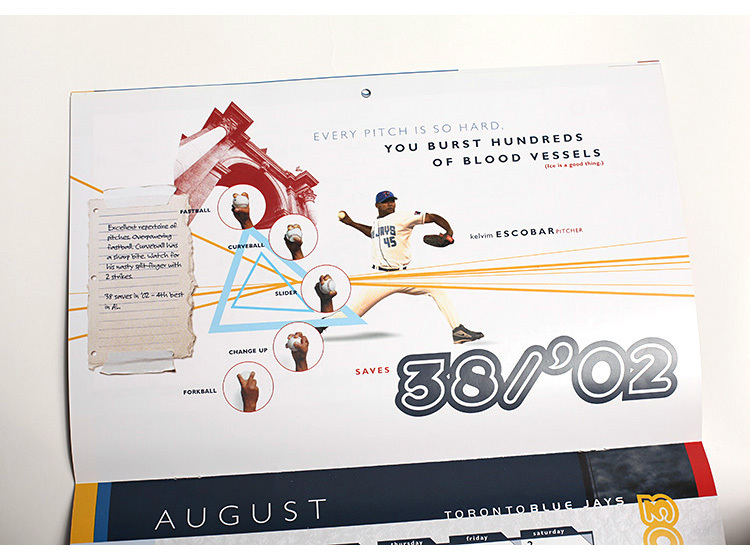 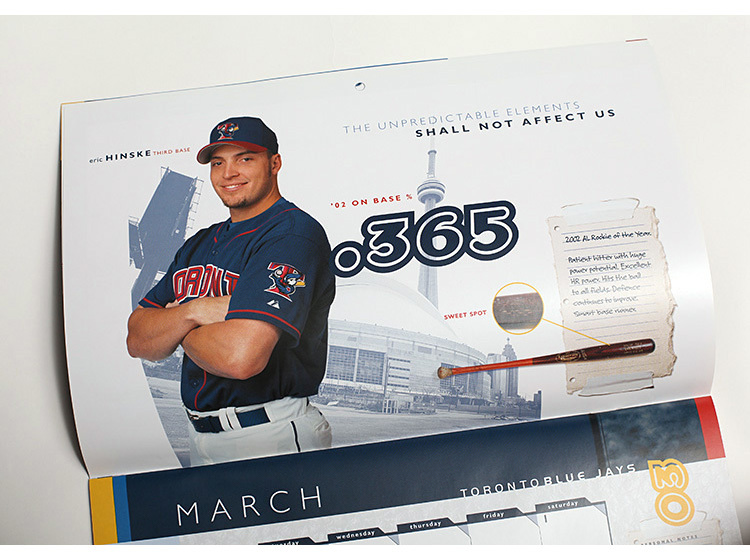 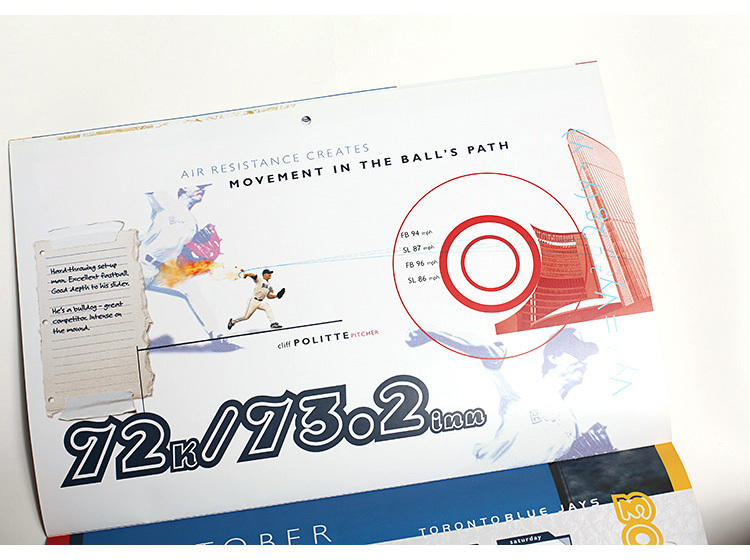 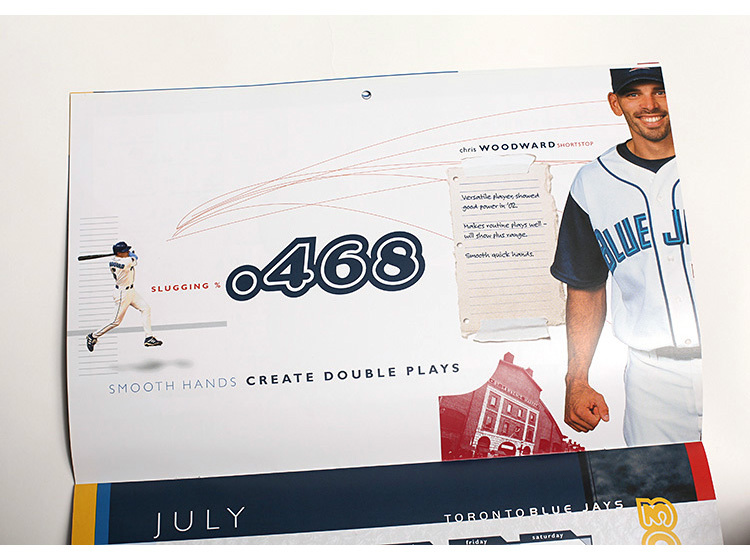 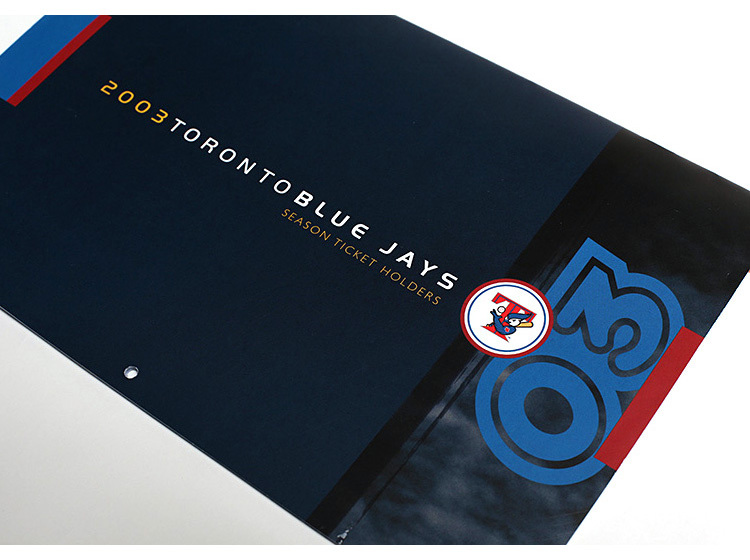 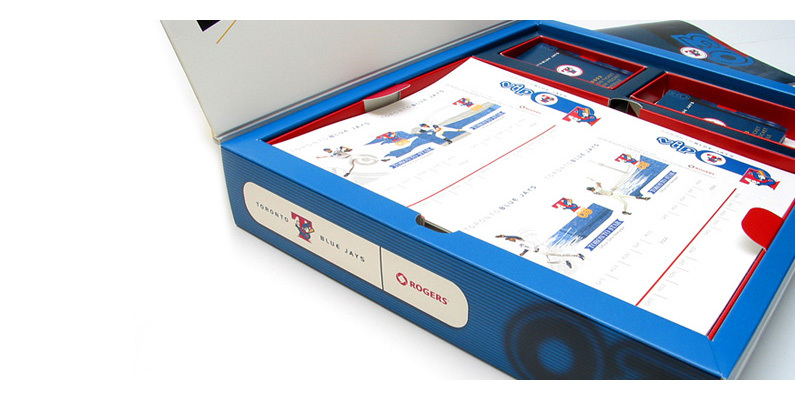 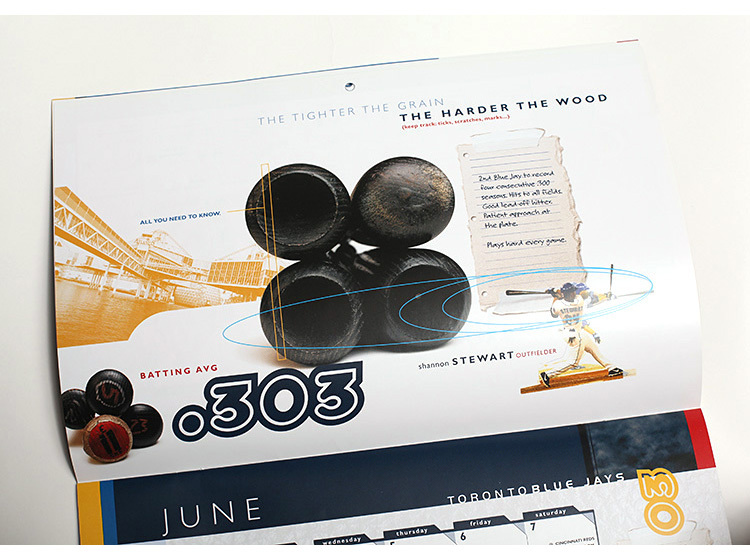 Toronto Blue Jays - Segovia Advertising & Design Inc. 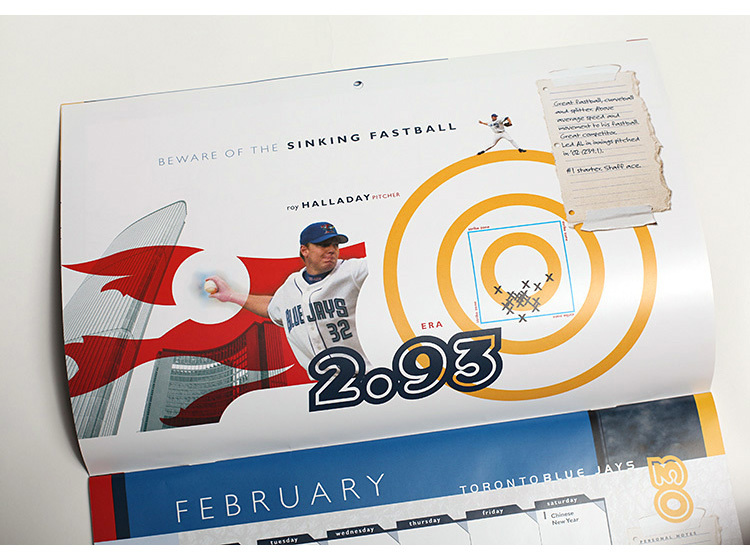 The main conceptual theme of the calendar can be summarized in the headline “It’s All in The Details”. 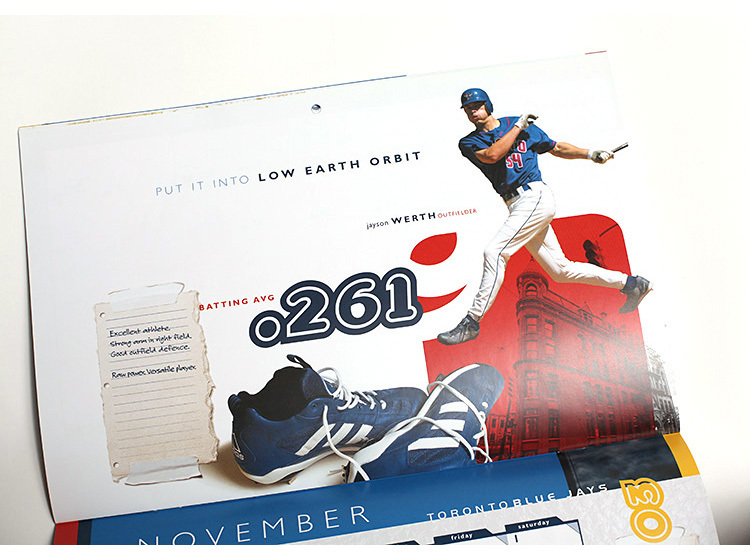 This brand concept/positioning would live in a Brand Inspiration book – and ultimately express itself in each of the creative spreads in the calendar. 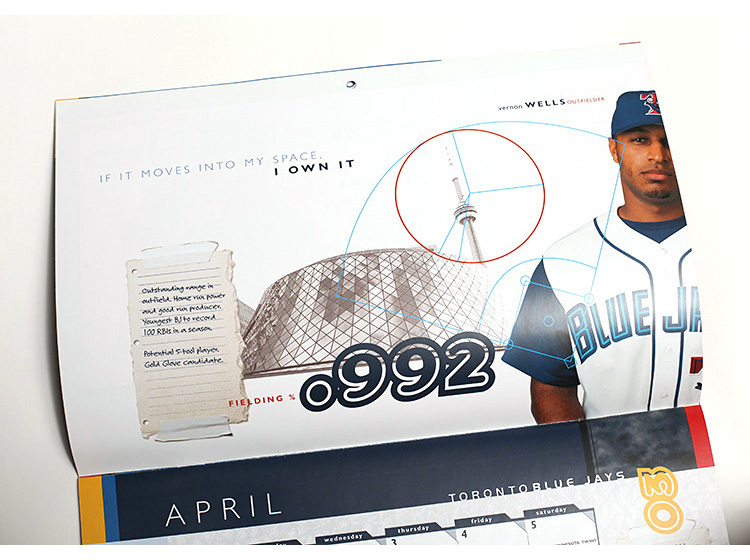 Each month featured a player chosen by the Jays organization. 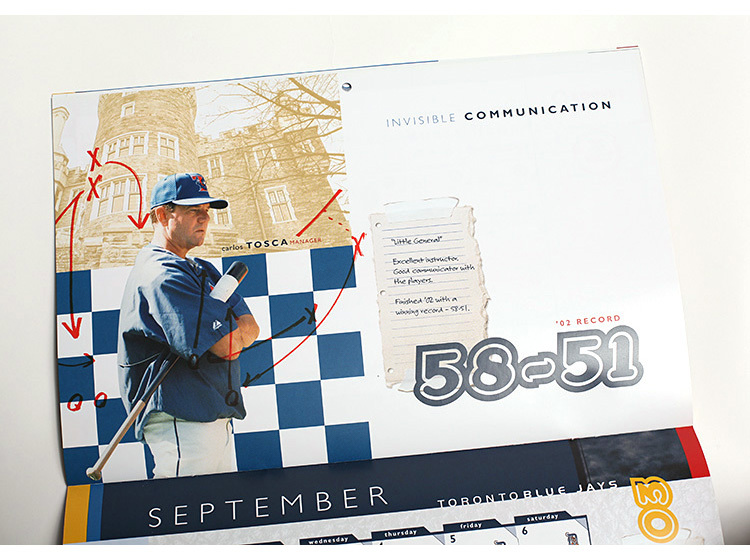 For each player, we researched, created concepts and brought out insights and ideas about his unique position. 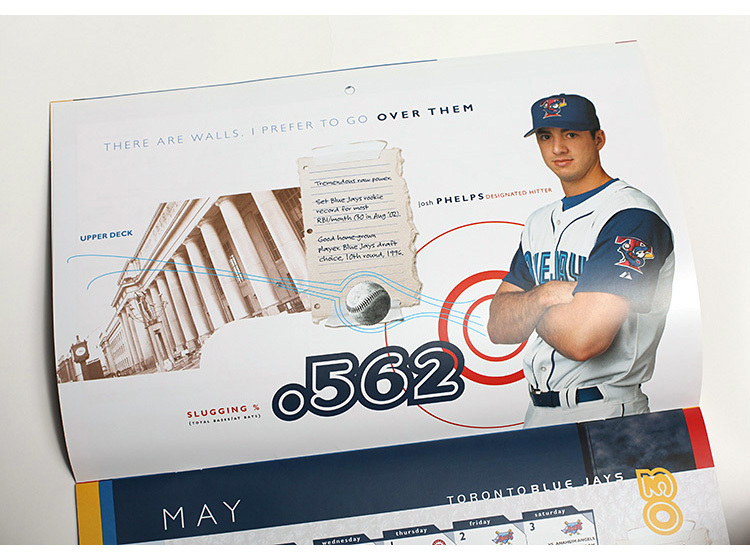 Players stats were researched, trainers notes were referenced and nuances & facts about baseball were highlighted. 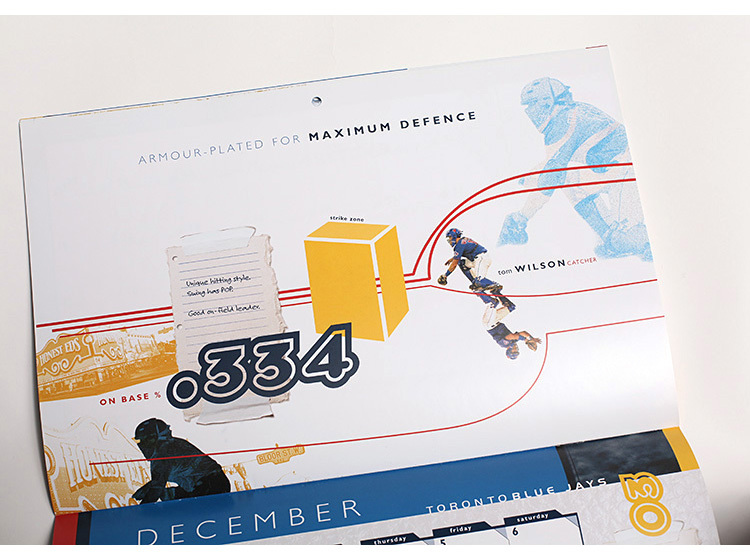 The graphic design and art direction fused player portraits, Toronto landmarks, objects and graphical elements conveying key information.